The Toms River Education Association president announced at a Board of Education meeting Wednesday night that his organization is in support of a referendum question scheduled next week that will ask taxpayers to commit $147 million to facilities improvements and capital projects across the regional school district. Plus, the referendum received endorsements from two well-known graduates. Scott Campbell, the union president, said he has seen classrooms reach up to 90 degrees on hot days in September and June, and he has also seen students wearing their coats indoors during the winter months because the heating system occasionally fails. Among a slew of items, the referendum would fund new boilers and chillers at schools across the district where replacements are needed. The total cost of the capital projects, if the measure is approved by voters, is $147,148,269. For a home valued at $272,400 – the average assessed value in Toms River – the annual cost would add up to $141.60 per year. William Doering, the district’s business administrator, said the funding would be financed for 20 years at an interest rate expected to be 3.85 percent. “There’s no wasteful spending in this referendum,” pledged Superintendent David Healy. The formal endorsement of the referendum plan by the teachers’ union is a major shot in the arm for its chances of passage. Toms River has a comparatively high percentage of staff members who live in-district, and voter turnout for votes that do not coincide with the general election has historically seen less participation. But with taxpayers already worried about the loss of $70 million in state funding over the next seven years – an amount that will largely have to be made up through property taxes under a bill signed by Gov. Phil Murphy – some voters are wary about authorizing the spending with so much uncertainty when it comes to the district’s financial outlook. Other argue that the loss of school funding is a reason to vote in favor of the referendum, with the logic being that facilities could further deteriorate and end up costing more to repair or replace later on – potentially during the height of the funding crisis. The district has a lawsuit pending against the state, seeking to restore the aid dollars. Campbell said the money is needed to improve facilities, strengthen the community and retain staff. 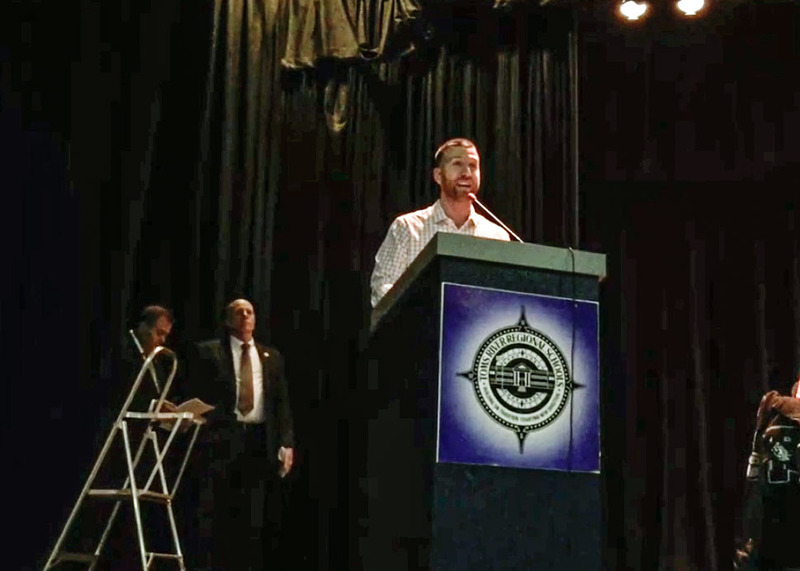 Some of the district’s celebrity graduates, including Major League Baseball player Todd Frazier and UFC fighter Frankie Edgar, have come out in support of the measure, board members said. Frazier himself referenced the same heat and air conditioning problems that Campbell later expounded upon, telling those gathered at Toms River High School North’s auditorium how he has four children who will be making their way through the school system just like he did. The referendum would also fund new carpets, doors and other furnishings that, in some cases, are 50 years old. Of the $147 million, the state is expected to fund about 37 percent, bringing the amount for which taxpayers are responsible to just under $100 million. Board President Russel Corby said many people have asked him what “plan B” would look like if the ballot measure, set for Jan. 22, does not pass. His answer: no matter what, it’ll be more expensive. Corby also touched on the effects the facilities have on staff, echoing earlier comments from Campbell. A rejection of the referendum would not affect staffing levels, he said, though Campbell believes it ultimately will. The biggest impact, Campbell said, is on students. “The impact on the children is that they’re not getting the education they deserve and the individual attention they need,” he said.